You start your tour in Constance, Lake Constance’s biggest town. 600 years ago this was where the Council of Constance took place, the only council to elect a pope that was held north of the Alps. The Rhine leaves Lake Constance here and marks kilometer 0 on its way to the North Sea. Only a few minutes by foot from the medieval town centre is the Swiss town of Kreuzlingen with its lively harbour. 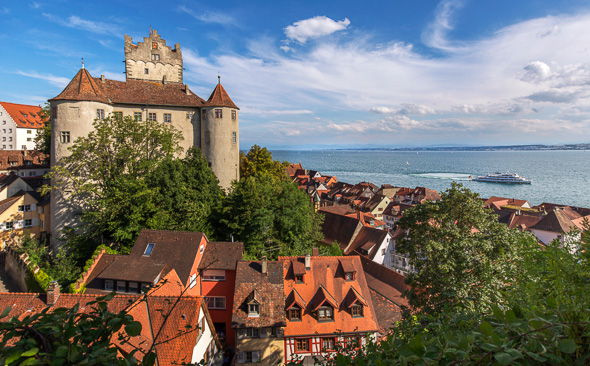 Your bike tour takes you out of Konstanz, off through picturesque Swiss fishing villages. Along the waterside, the path takes you to Stein am Rhein with its beautiful fresco-decorated, medieval houses. Switching several times between Germany and Switzerland you reach the canton’s capital, Schaffhausen. The town whose citizens competed in building numerous gables on their houses, is overlooked by Munot fort. The first highlight of your trip are the Rhine Falls, the largest waterfall in Europe, which you will approach by boat. The valley of the Glatt will lead you on to Zurich. 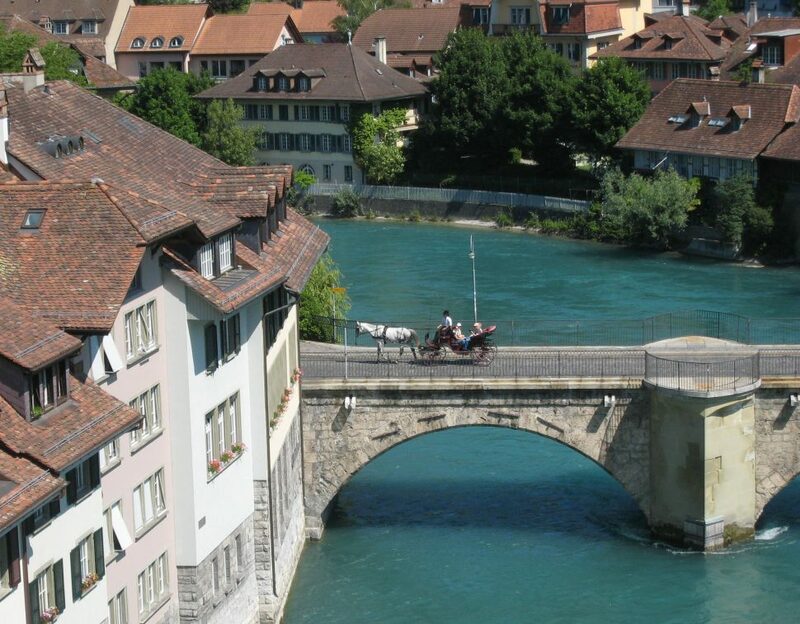 Modernity and tradition unite in this fascinating cosmopolitan Swiss city. Why not visit the well-preserved old town and make sure that you experience the cultural life of the city. 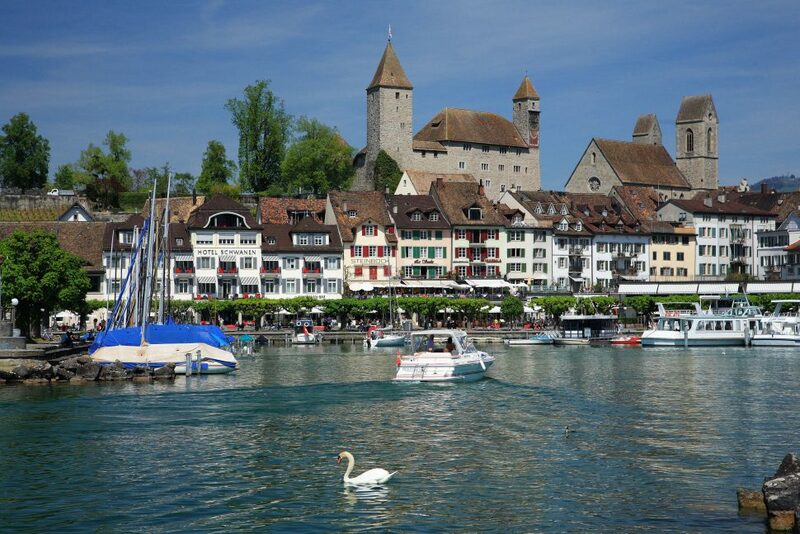 Today you will cycle along the northern banks of Lake Zurich, which is also known locally as the Gold Coast, until you come to Rapperswil with its old castle. From there you cross over to the other side of the lake on a dam. From there it won’t be long until you reach the small town of Lachen. Here you can visit the Baroque Church Heilig Kreuz, enjoy the flair of the harbour or just enjoy a swim in the Lake. 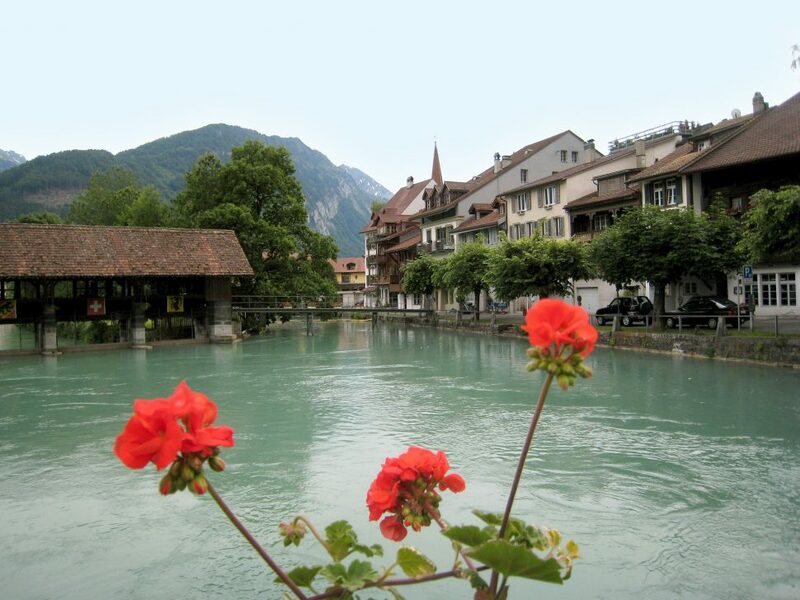 Today you will cycle along the Linth Canal, the man-made canal between Lake Zurich and Walensee, and come to the pretty town of Weesen. Here you will board a boat which will take you to the other end of the lake to Walenstadt. The Lake is 150 m deep and towered over by the 1800 m high Churfirsten Mountains – it’s perfect for swimming. Walenstadt is famous for its carnival traditions. After a few kilometres you reach the Alpenrhein valley and you soon arrive in the Principality of Liechtenstein. Many impressive castles line this valley. The medieval town of Feldkirch, in Austria, is at the end of the Ill valley. Schattenburg castle looms over the town. It holds a significant historic collection of weapons and is one of the best preserved castle estates in Central Europe. 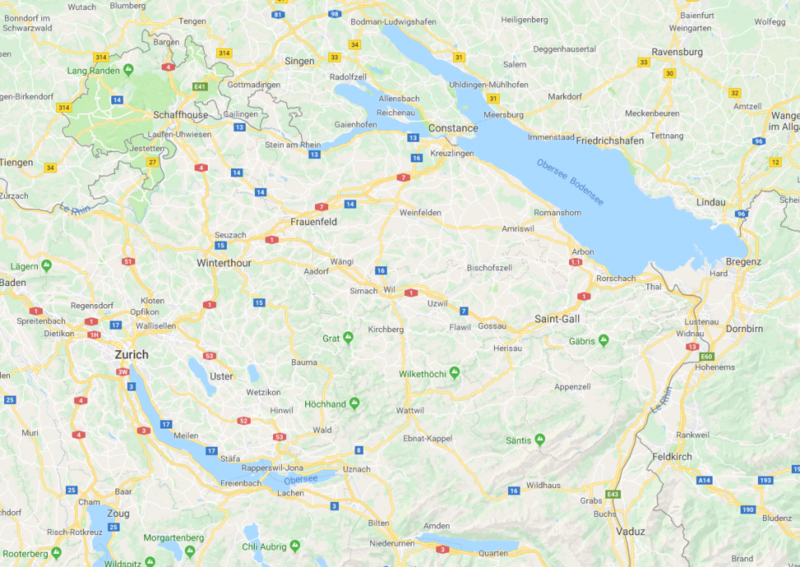 Today you cross the Rhine and then go by train from Altstätten up to the Appenzellerland. Alpine pasture and cows are your constant companions on the hilly route to St. Gallen, the town known for its linen and embroidery. Particularly worth a visit is the baroque collegiate church from the 18th century and its library. The entire St. Gallen collegiate complex was declared a UNESCO World Heritage Site in 1983. Enjoy the downhill stretch to Lake Constance and your arrival near Arbon. Next, cycle along the lake through cultivated little Swiss villages and orchards, back to Constance. Take a break wherever you want in any of the many cafes along the lakeside or jump into the water to be refreshed! Finally, there should still be time for a visit to Rosgartenmuseum or a relaxed wander through the old quarter of Constance.